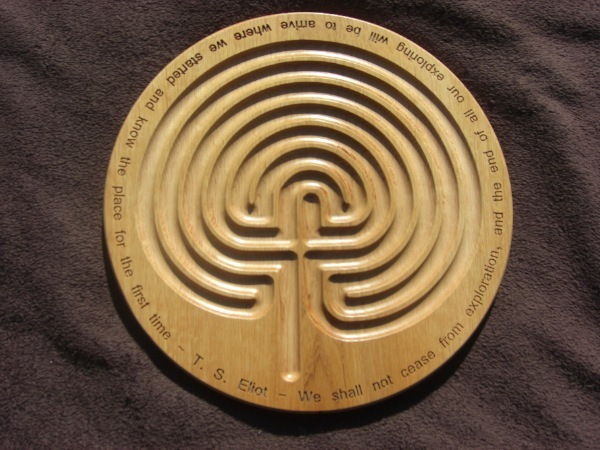 Cambridge-based arts project for adults with learning disabilities, Rowan Humberstone, are now making these beautiful wooden finger labyrinths. They are available to buy in large (dinner plate) or small (tea plate) size and in a variety of light or dark woods. Each one is unique. The labyrinths are sanded and oiled by hand to achieve a beautifully tactile silky smooth finish.